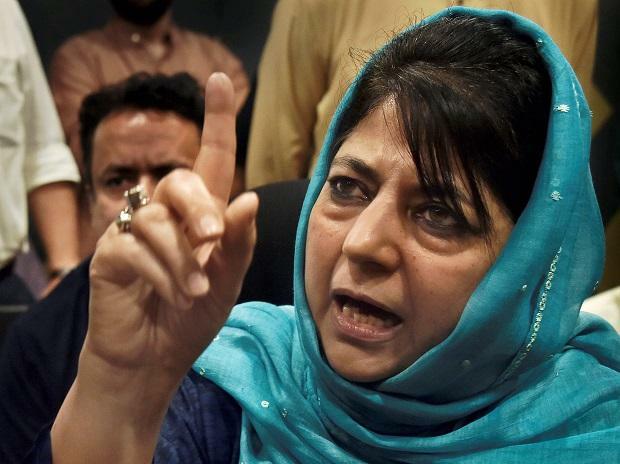 The Peoples Democratic Party (PDP) chief Mehbooba Mufti Tuesday dismissed reports of an alliance with the Congress and said the party is preparing to contest all the six Lok Sabha seats in Jammu and Kashmir. "We are preparing to contest all the six seats," Mehbooba told reporters late Tuesday night. Dismissing media reports of parleys with the Congress party on an alliance, she said, "We had no talks with Congress (on alliance). It is mere speculation. If they want to have an alliance with the NC, that is there internal matter". Replying to a question on the death of a teacher in police custody in Kashmir, she said the incident was unfortunate. "It will further take children towards violence and terror, as you all know what happened recently in Pulwama, where a youth attacked a CRPF vehicle and brought India and Pakistan to brink of war," Mufti said. Taking a dig at Prime Minister Narendra Modi, she said top industrialists run away with huge money when "Chowkidar" kept watching.